This spacious Garden Flat is one of three apartments within this newly remodelled period building on Wetherby Gardens, and one of a handful that enjoy the award-winning communal gardens. 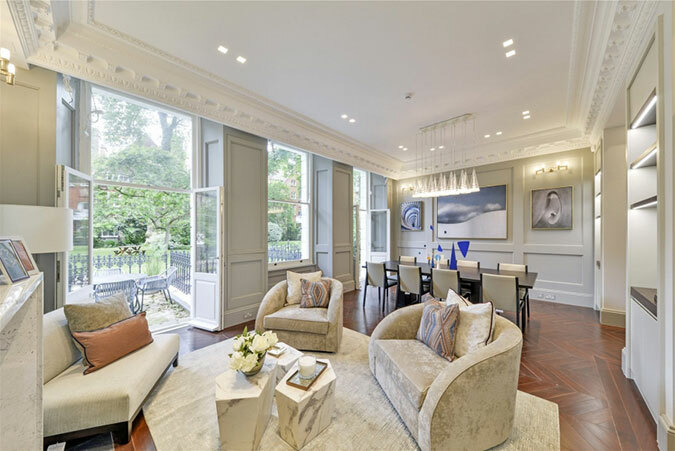 Exceptionally high ceilings, generous reception rooms and large windows afford a bright, airy atmosphere and while living spaces are modern chic, the flat retains its historic Victorian grandeur. All four bedrooms are ensuite, some boasting a generous helping of white marble. Ideal for young ones, the Wetherby Gardens is also home to the original Wetherby School, attended by Prince William and Prince Harry.